â€™Tis the season for a holiday party. Yup, itâ€™s that time of year again. Old time school buddies meeting up back home. Secret Santa at your job. The goal is for everyone to have fun but not clear out your wallet when you decide to be the host of the party. Itâ€™s something about throwing a party that makes you want to go all out but definitely not at the expense of your budget. Can you throw a POPPIN' party without spending a lot of cash? Of course, you can. It takes planning to achieve both - an amazing party without blowing your budget. There are 2 keys that help you build the foundation for your party and sets limits for your budget. Think about weddings and RSVPâ€™s - folks are trying to nail down the number of guests because of food costs. Itâ€™s the holidays so spending carelessly on the food for your party is not the biz. The better control you have over your guest's the better control you will have over your budget. Once you have those guests nailed down, next up the menu. The food is what takes a party to the next level. Yes, mingling is fun but itâ€™s even better when there is food at the center. Besides, what is a party without food? I love letting the seasons give me inspiration when planning out a menu. Seasonal eating is cool, my people. Honestly, it is how we should be eating ALL the time. Anyhow, I digress. Back to the menu. Planning your menu for this fall/winter season gives you the opportunity to give your guests the freshest produce of the season. It helps with saving your coins as well when you buy in season. The produce will be in an abundance and CHEAP. Think about when Thanksgiving comes around you start to see things like cranberries dark leafy greens such as collard on sale. Yeah, itâ€™s Thanksgiving but also because itâ€™s growing season for these things. Once you have determined they type of menu you will be serving, this helps you determine HOW you serve your guests. Are you hosting the party this year? 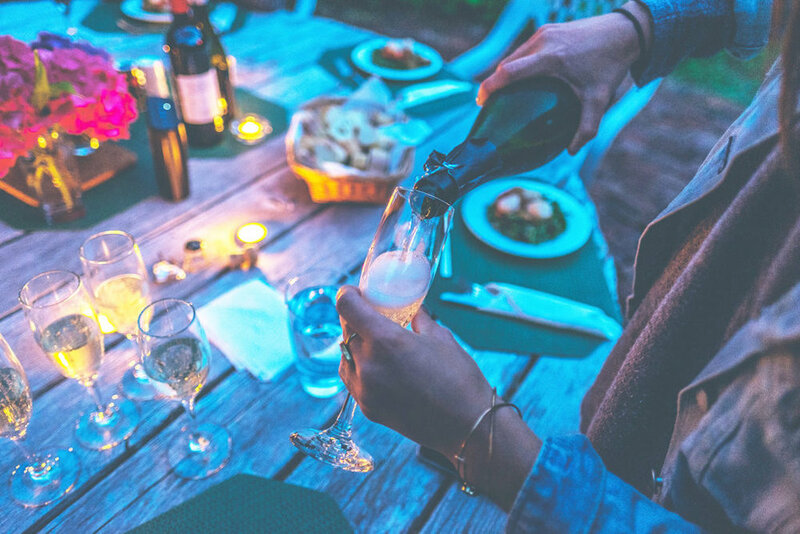 If so, I have created a mini Dinner Party Planner to get you started with your planning. Planning, organizing, and executing are the keys you need to host a successful holiday party. Let me know whatâ€™s happening with your holiday party plans, shoot me a message on Facebook.